WHAT MEANS the MOST to me? When I hear that people have been more touched by something I've said or blogged about. Our beauty on the outside is fun to decorate, but I want to decorate hearts, share my love, share my happiness, share my sadness...and how in the middle of my sadness, my heart grew strong! Today I got to go surprise, Kimberlee, for her birthday, at the stables where she rides her horse. Her mom had arranged it all! She cried when she saw me and I hugged her! To feel love and impact I had on her heart....made me want to cry too! I had such a fun afternoon with her whole family, and to hear how I had been able to encourage her heart through some hard times...is what truly is the desire of my heart! She had hope and joy, and was inspired...she didn't just learn how to put eyeliner on...make-up comes and goes, but your heart is there trying so hard to beat with happiness everyday! who was so adorable I just wanted to hug her and tell her how cute and precious she was! To hear these girls say how my blog has encouraged them (and all of you reading this! )...means more to me than anything! I'd stay up all night typing, to know that I am sharing love and happiness and watering the gardens of your hearts! I just want to say thank you, to all of you who come up to me and tell me, or write me comments (and I do read them all! )...thank you, for letting me be part of your day, your life, and your heart! I am honored beyond words! I love you all, and there are no words, at all to describe what my heart feels to be able to inspire and love you! Thank you for letting in to your hearts...you are in all in mine...and please, if you ever see me..come up and say hi, and let me hug you! and more LOVED than you can IMAGINE!!! I just wanted to say how great I think your mum is because she has raised both you and your sister (who's blog I read too!) as such generous, giving and loving people. Your blogs put a little joy in to my day every day. Thank You, Kandee, for sharing Your life with us! You're an amazing person whose words touch everyone's hearts and souls! hugs and kisses from saudi arabia all the way to u ..
Kandee you have been such an inspiration to me! You showed me how to realize my dream! Please check out my facebook page, I would love it if you'd become a fan! Kandee, you are such an inspiration! I was browsing around on youtube the other day when I came across your channel, and I instantly fell in love! Consequently, I went here to your blog and found so much inspiration and motivation. I completely admire you! After reading your entry about making healthy choices, I found the strength and energy to run 6 miles! Thank you so much for the inspiring and beautiful blog posts, as well and your talented videos. I wish you the best in your life and career and look forward to finding more motivation in your blog. You're a beautiful person on the inside and out and aspire to be as kind-hearted as you. Loved your make up in IMATS video, can you please do that as a tutorial? Thanks! Kandee you are an angel!! 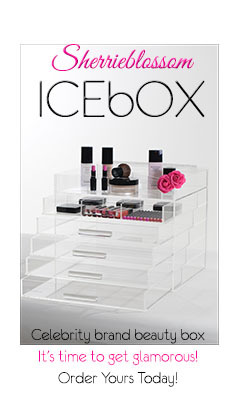 I wish you lots of fun at IMATS and at your GLAMINAR! 1 million hugs to you and thank you for always being there for us..
Kandee you have such a beautiful soul...i wish i could meet you in person, but i live all the way up in Canada! =( You inspire me everyday that i read your blog...it is just so hard to believe that you can be more beautiful on the inside than you look on the outside! I wish you every success and happiness in life. Before blogger I had been going through a really rough time trying to figure out what I loved. My brother had ale ays told me, follow your heart, it will never guide you to the weong path.. Your passion is what is most important. And all the time when He would tell me that I never truly thought hard about it... I knew I loved being an artist, but what to make out of it was what I had been struggling with. Then one day I came across your videos on YouTube.. Now I have always loved doing makeup on my friends I do all my friends makeup for proms and all that stuff. But whenever the thought of going into makeup as a career popped into my brain I just brushed it away, your videos and blog have truly inspired me to follow my heart like my brother always tells me, and to fulfill my dreams someday hopefully. You are such an amazing person, you are what the world needs more of. Kandee you are amazing! I can't believe I actually got to meet you. And that I am on your blog!!!! ahh! This is crazy. You are so nice in person and in all your videos! Thank you for taking the time to write your blog. It is truly inspirational to me and so many others!! I had driven up from SF all by myself and I was so excited about this convention because ever since I got back from my deployment (I'm in the Air Force REserves) I've been into makeup. When I found your channel, I became hooked but in a good way. So again, thanks so much for taking the time out of your day to write your blogs and post videos. You are VERY much appreciated, doll!! Oh, would you consider doing a Glaminars in the SF bay area? I would be more than happy to help facilitate/coordinate an event like that. I wish I could have so much strong that you have to handle everything. I am wondering how do you do that you are always so nice, cute, you help many people, you helped me in a way, reading yours words is making me feel better, that beside these cruel world there are some people who are worth living for. And I want you to know that I love yours inside, you are very beautiful and adorable but in the inside you are even more precious ! hope that I have so many strength as you ! I love your blog. It encourages me everyday, and really does make my heart beautiful! :) I love all your tips and tricks on makeup and your other posts which are so needed and share so much love and care, for people you've never meet. It really is amazing! Thank Kandee, for helping me! Your post was about Sharing Love; my blog is about sharing Hope. I would be soooo honoured if you had a look a gave me your thoughts. So this is how it started...i was bored looking at videos on youtube. Then I watched CUTE AND EASY HAIR UPDOS by kandee johnson. Then i watched the one video where you talked about healthy skin and cod liver oil. That was my first FAV. then that was it...i was hooked on watching your videos. haha i thought wow shes preetty and luved the personality and energy. i have learned alot of makeup things i didnt know...so awesome. But yes you have inspired me through your stories, videos and everything. I admire you tremenously for starting your own business on the very thing you luv to do(makeup);and you have been very sucessful at that. But more than that I ADMIRE and RESPECT you for the person that you are, the decisions you've made along the way, and to have such a loving heart for other people. Even when sometimes its not easy to open yourself up to the unending criticism of other people, but you keep going and spreading your love. Its a gift from GOD, he uses people like you to do his will. And I pray he uses me in the same way also. i would go to one of your glaminars just to have fun, even though i dont really want to be a makeup artist. sincerely with much luv for ya!! 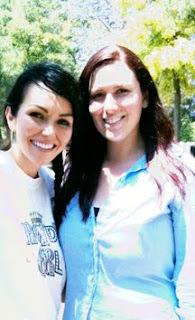 Kandee.. you really are the most amazing person. when i was really ill, and was giving up hope, I was suicidal.. 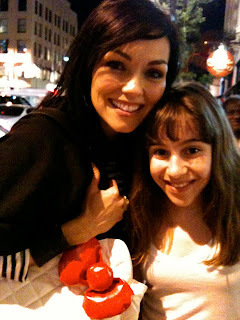 I came across your blog..
Aww, Kandee! You've changed me in such a huge way, too! I am a much better person than who I used to be because of you. Your story is so inspirational and I love how you always have a message after every blog post which makes me feel super warm and fuzzy! The most important thing I've learned to tell myself is that everything is going to be okay! Kandee, I'm so happy that you have noticed your impact on people! And I'm happy to know you actually read our words. You truly ARE a big inspiration. Believe me, whenever I'm tired, or depressed or whatever, opening your blog from my bookmarks is the first thing I do to prevent myself from ever getting disappointed. Then I read more and more, and then I realize I'm all hopeful and happy again. It's really really nice of you to keep saying everyone should go get their dreams, because most people keep telling the opposite and make you disappointed, but then YOU make it all okay for me, just through your blog! Kandee, please never stop doing this, I'm about to tell you why; you see, It's like a cycle, or whatever; you inspire people and help them gain hope, then these people wish you happiness for you've helped them gain something good, then again you become more and more happy and this time you help them even more, then people are even more grateful for knowing you, and so on, after a while you see both sides are totally happy! Nice cycle, isn't it?! Kandee, I just wanted to thank you for all the wonderful posts and videos... they inspire me and encourage me so much everytime I come to your page!! !You're really like a ray of light, bringing so much positive energy and joy and love..Just keep being so sunny and wonderful and encouraging, I really wish there were more people like you!! I love make-up and each of your videos has made me adore it even more! Kandee--you are amazing and truly beautiful inside and out and it is awesome that you share your view with all of us. We are blessed by you!